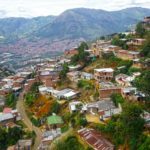 After a couple of days spent in the capital of Colombia and overnight stay in small village of Guatape we jumped on the bus direction Medellín, city mainly known for Pablo Escobar and drug cartels. 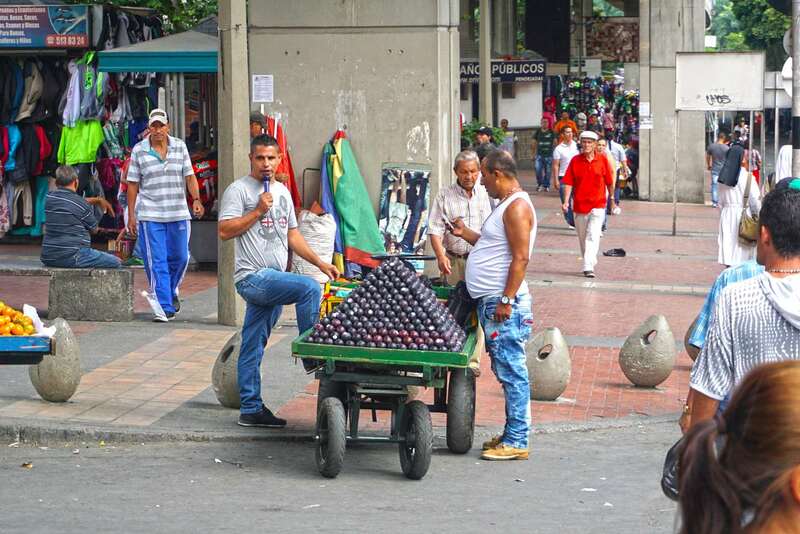 First thing to do was to buy a metro ticket which also applies to all urban cable cars, which were designed in Medellín for people from less developed areas of the city. In Colombia, it means the districts, which are located on the hills. The higher uphill you go, the worse shacks and more dangerous area. 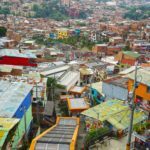 We went up all the way above one of the most dangerous places in Medellín and also the scene you surely know of the series Narcos, which was filmed in the hometown of “Pablito” in Medellín. At the last cable car station you can buy another ticket which in about 20 minutes gets you to the park Arvi. But for me the biggest experience was to observe life on city streets. However, I still had no idea what awaits us in the wilderness center. 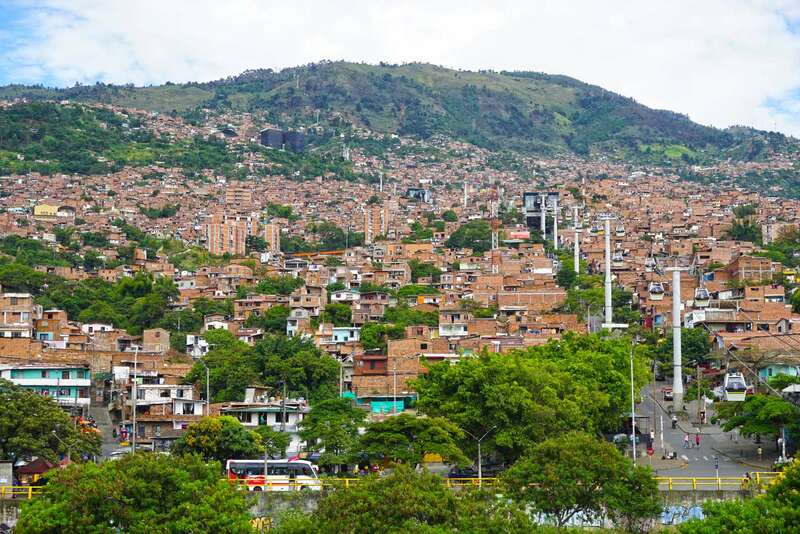 North part of Medellin where intro from Narcos was shot. 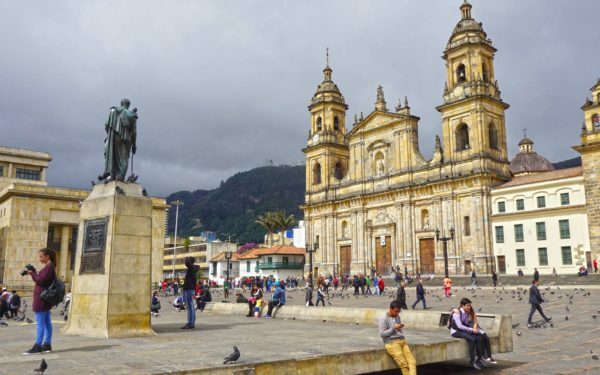 First we went to the Botero square, named after the Colombian famous painter and sculptor, where are exhibited his typical fat sculptures. 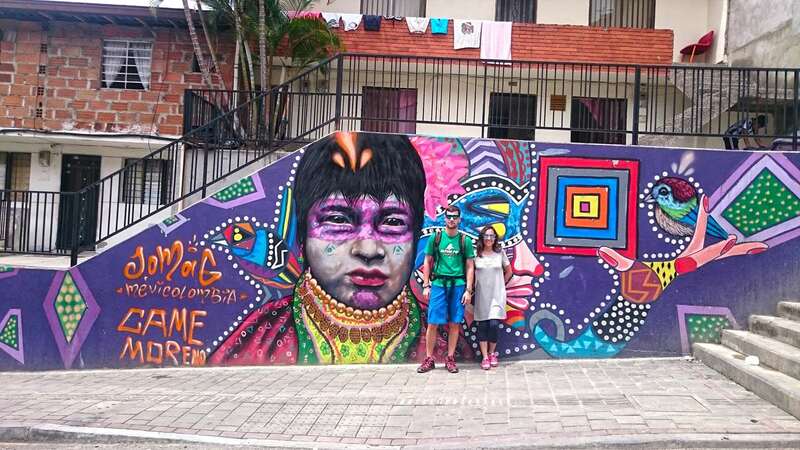 If you are not into this kind of art you may observe many more interesting phenomena on the streets of Medellín. 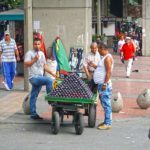 You can find many street vendors selling stuff and especially offering you calls for about 5 cents a minute right on the street. There was also a guy who had a scale and for a small fee would let you to weight yourself. For me, however, were more interesting shops with clothes and street vendors of fruits and vegetables. 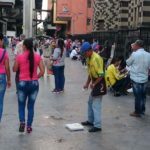 Center of Medellín is full of shops with clothes because people like to dress nicely. Each store had a huge speaker at the entrance where occasionally publishing some offers on clothes, but most of the time were playing Latin music very loud. If you imagine this on such streets with dozens of stores like that it was a pretty sweet disco. Street vendors of fruits were whole other level. At each intersection there were maybe 3 to 4 of them on every corner with microphone and speakers. Different to disco playing shops, these guys were having a rap battles offering their great looking but still cheap avocados or lemons to the public. Street vendor having a rap battle. As the sun was setting down around 6 pm we started to look for our Couchsurfing host Andres. 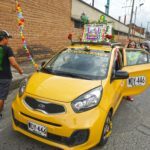 At this rush hour in Medellín was almost impossible to find a taxi but eventually after hard trying we did find one and automatically we started conversation. Question “where are you from” followed by my answer “Slovakia” always leaves everyone in doubt and it happens everywhere around the world. However Maria’s answer “Spain” had us definitely back on the track with the taxi driver. Since that moment we were both Spanish to him and we felt really welcomed in his car. Typically funny Medellín taxi driver even pointed us to the fact that as Spanish citizens we can confidently walk into the restaurant and use the toilet without paying which was really an interesting example. Distance approx. 3 km took us half an hour to go through. And this time it was not because of rush hour but because the taxi broke down. The taxi driver says: “let’s go out and push.” My first thought was if it is not a scam, but fortunately everything was OK. We pushed car away from the intersection and taxi driver opened the hood and started to smash the engine. Luckily the car started to run again and we were able to reach the house of our Couchsurfing host Andres. Taxi drivers in Medellin are the best. It was a pleasant surprise that Andres hosted another 2 Russian couchsurfers and Peruvian guy Frank. The minute we entered the house there was a friendly atmosphere and all of us sat down and we toasted with my grandfather´s home-made alcohol. During night in Medellín there was also a lot to see and experience. 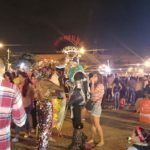 We went for an open air concerts of Latin bands where we enjoyed great music, dancing and local beer in the presence of various creatures in different costumes attracting an audience attention. Especially transvestite in high heels dressed as a Roman warrior. 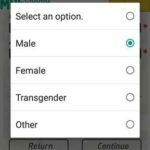 Once I mentioned the transvestite, I have to mention the fact that when I was trying to connect to a local Wi-Fi and register my profile I had a special choice in addition to men and women gender. A “transgender”. 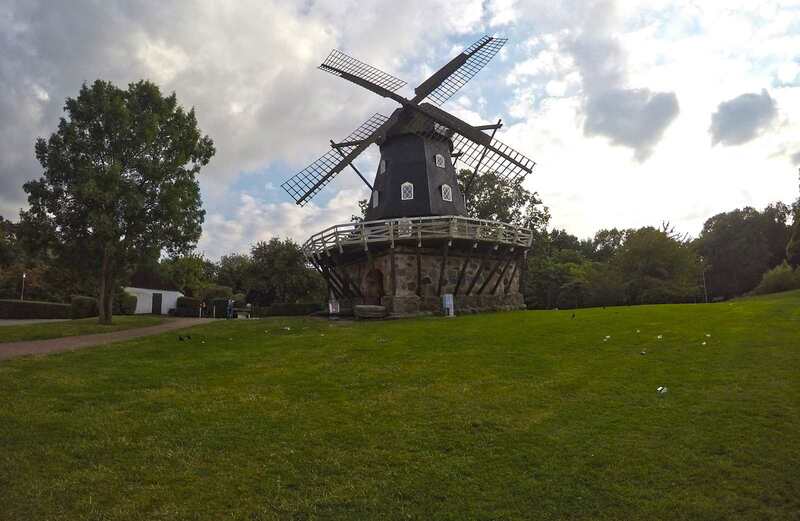 It was very odd since I have never seen it before, but I was told it was done because of the “transgender” not to feel oppressed. 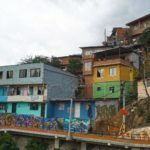 The next day we went to visit “Comuna 13”, few years ago the most dangerous neighborhood of Medellin, which in 2010 still accounted 162 murders for 100,000 inhabitants, which is a huge number. In this district operate so-called “Combos”, armed groups that guard their territory and collect money from residents for their “protection”. In addition to this “charity” are obviously implicated in drugs. 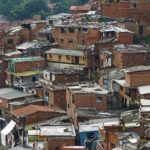 Nowadays “Comuna 13” thanks to efforts of the city is safer. In 2012, as the police and army did a raid and managed to get rid of at least a small part of the dangerous “Combos”. The city bought up dilapidated houses and in their place put escalators. It is thus the only “Slum” in the world where you can find escalators. 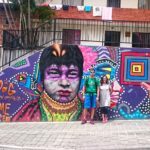 There are 7 of them and the place is now open for the tourists and fast becoming a popular place in Medellín also thanks to a local guy who is dedicated to painting graffiti all over “Comuna 13”. 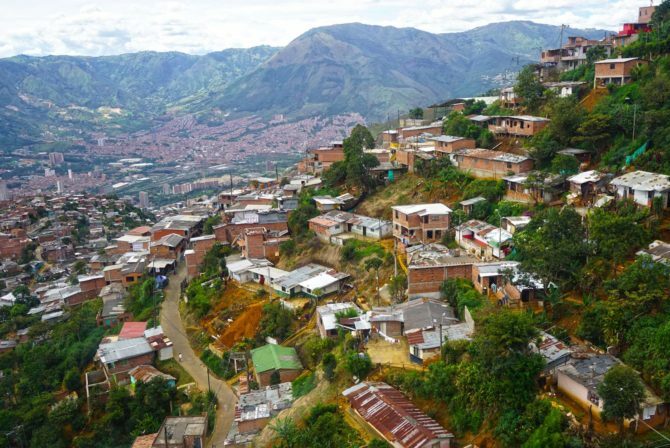 In addition to make the whole neighborhood look more colorful, locals painted their houses in different colors so from a bird´s eye it looks like a heart which is a great rarity, as the typical poor Colombian neighborhood standard is only brick and tin roof. 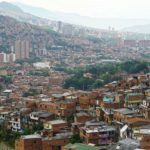 Despite the bad reputation and still active drug groups in the area, “Comuna 13” is becoming more and touristy. 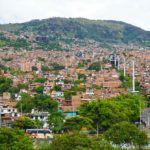 Medellín was a great lively city which made a huge progress in becoming one of the most innovative cities in Latin America and although its past and still also present is related to drugs, it is a great place to visit and experience. 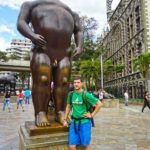 Jajaj me divertí mucho con este post Richard, volví por unos momentos a Medellín. 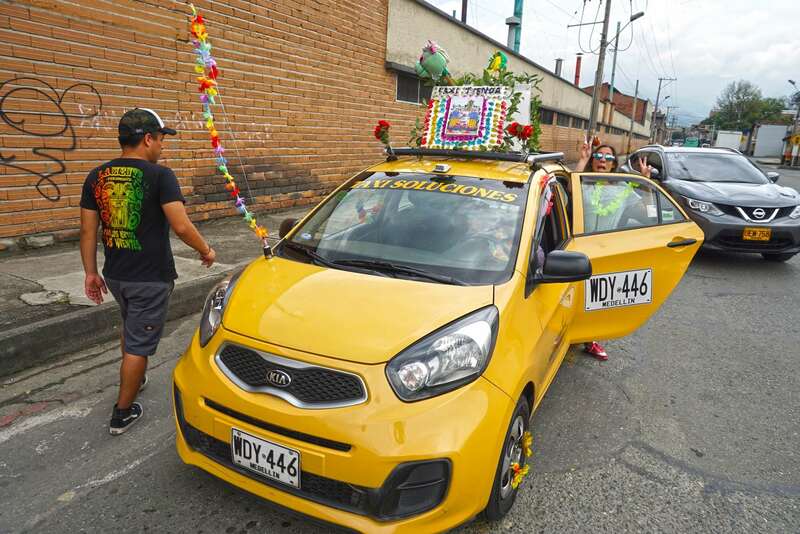 Lo mejor fue lo del taxista. Abrazo desde Perú!